The Lake George Region is overflowing with fascinating museums, spectacular performing arts venues, and even more places where you can soak up local arts & culture. If you’d like to forge your own path through the area's rich arts scene, then plan a trip to these 8 hotspots! You can’t talk about art museums in the Lake George Region without mentioning The Hyde Collection in Glens Falls. 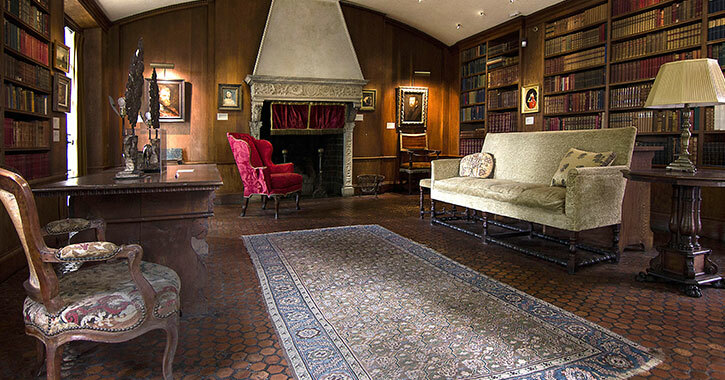 Recognized as one of the most exceptional small art museums in the Northeast, The Hyde is currently home to over 4,000 objects and artworks in its permanent collection, which continues to grow over the years. You can view them in the historic Hyde House and throughout the galleries. The museum complex's distinguished collection of American and European art includes works by the masters, such as Botticelli, Rembrandt, Renoir, and Degas, as well as more modern and contemporary pieces. The five gallery spaces feature different exhibitions each year, so you can always look forward to seeing something new. Although the original fort was destroyed, it has since been recreated as a living history museum where visitors can learn all about the French and Indian War. 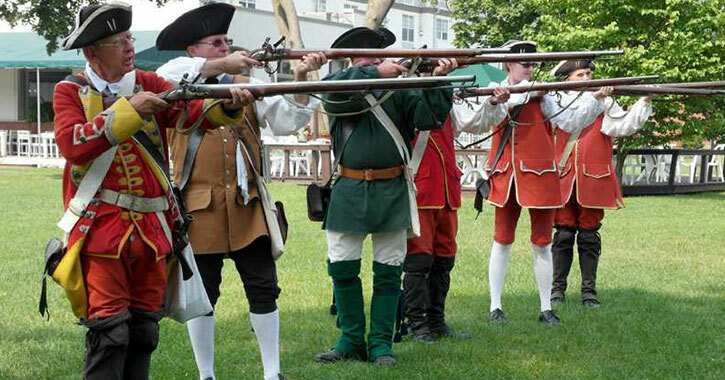 You can take a self-guided tour of the museum’s exhibits, attend one of their special events and programs, and witness history come alive with live musket and cannon demonstrations. How would you like to unleash your inner craftsman and learn more about the arts of the Adirondacks? If so, then sign up for a creative course at the Adirondack Folk School in the Town of Lake Luzerne. This nonprofit school is dedicated to teaching and promoting the traditional arts, crafts, and culture of the Adirondack Park in a hands-on learning environment. 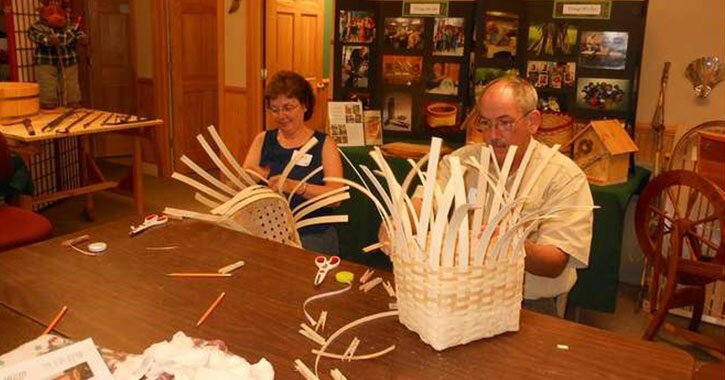 Courses for people of all skill levels are available, including blacksmithing, basketry, chair caning and weaving, cooking and foods, gardening, woodworking, and many more. You can also browse their on-site gift shop and purchase a unique piece of the Adirondacks. 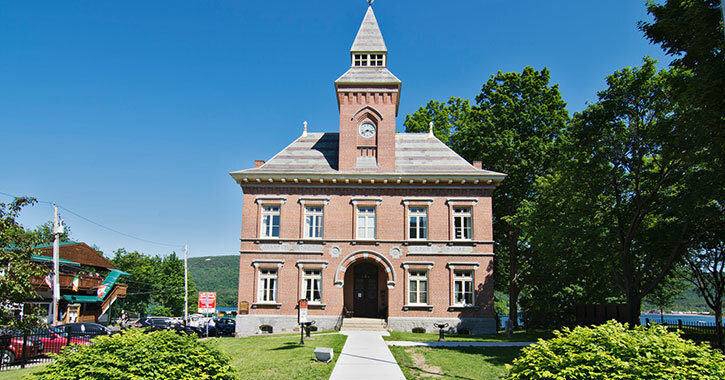 Here in Lake George Village, the old county courthouse is currently the home of the Lake George Arts Project, a nonprofit organization dedicated to providing high-quality arts programming to the region. Each year, they present exciting exhibitions and live music at their gallery and other local venues. The Courthouse Gallery is located in the back lower level of the historic courthouse building in Lake George, and its mission is to feature exhibitions by regional and national contemporary visual artists. Visitors can stop by to see the new artworks and enjoy presentations, workshops, readings, meetings, and other activities. In addition to the gallery, the Lake George Arts Project manages a wide array of concerts and music festivals, including the popular Jazz Weekend, a Summer Concert Series in Lake George Village, and more. Stay up to date on all of their upcoming events and discover the area’s growing arts scene. Located a short drive away from Lake George, The Little Theater on the Farm in Fort Edward is a nonprofit performing arts venue that hosts everything from theatrical shows to live music, parties, and even historical reenactments on occasion. This theater space features a relaxed atmosphere and was designed to highlight local performers and make the arts more accessible to all. 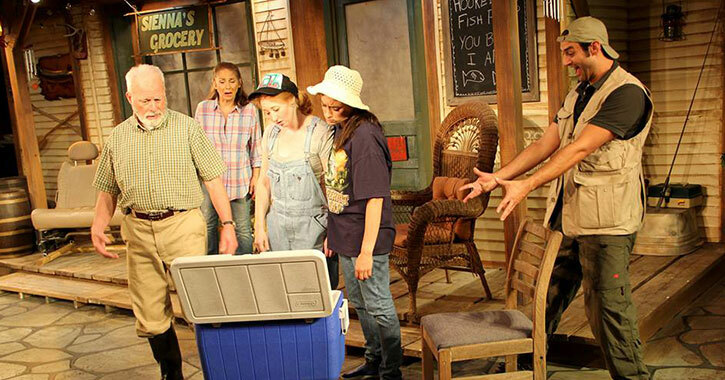 So what can you expect to see at The Little Theater on the Farm? 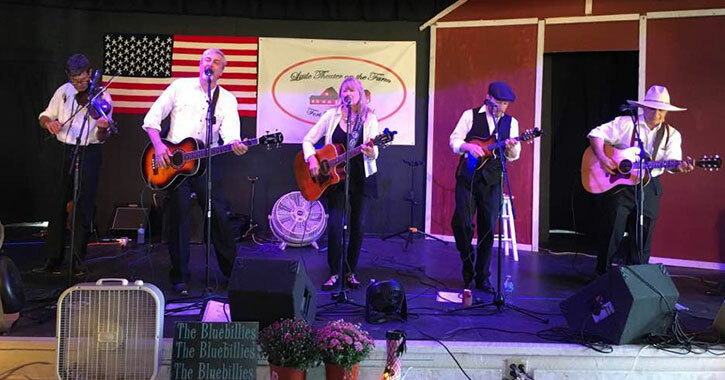 Some of their typical shows include folk concerts, bluegrass bands, jamborees, acoustic artists, and more. It’s always a fun time at this performing arts and music venue! Each year in summer and fall, The Lake George Dinner Theatre at the Holiday Inn Resort in Lake George offers patrons one of the most memorable dining and theater experiences in the region. Your trip to this intimate setting will begin with a delicious full-course meal and end with a performance of a contemporary comedy. The Lake George Dinner Theatre is operated by Lake Theatre Productions, Inc., which aims to bring professional theatrical productions to the Lake George Region. While they specialize in featuring plays, Lake Theatre Productions, Inc. also hosts workshops and seminars for the general public. Although the Charles R. Wood Theater in downtown Glens Falls hosts an eclectic lineup of entertainment throughout the year, such as comedy shows, films, music, dance, and more, the arts venue is well-known for being the home of the Adirondack Theatre Festival (ATF). ATF is a professional, nonprofit summer theatre that aims to produce new and contemporary musicals and plays that will challenge, entertain, and nourish their audiences. The original works performed during ATF are created by some of the most established and experienced professional theatre artists in the U.S. 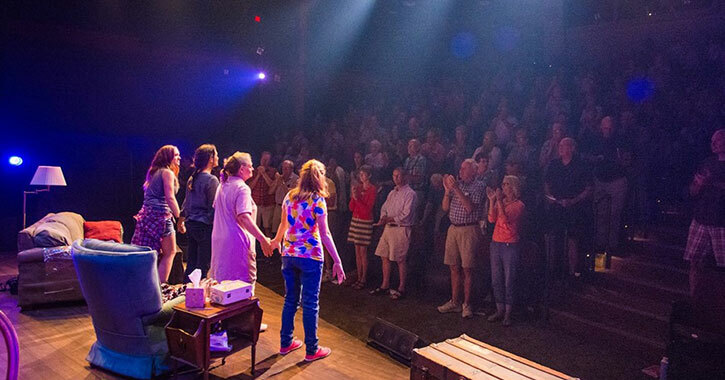 Since these amazing new productions are presented at the Charles R. Wood Theater during the summer, you’ll have to take a trip to Glens Falls if you want to enjoy these one-of-a-kind experiences! Founded back in 2010, the Hudson River Music Hall in Hudson Falls has played a key role in making the arts accessible to the community. The nonprofit organization continues to feature over 100 events each year, including live music concerts, theatrical productions, art gallery openings, and seminars. 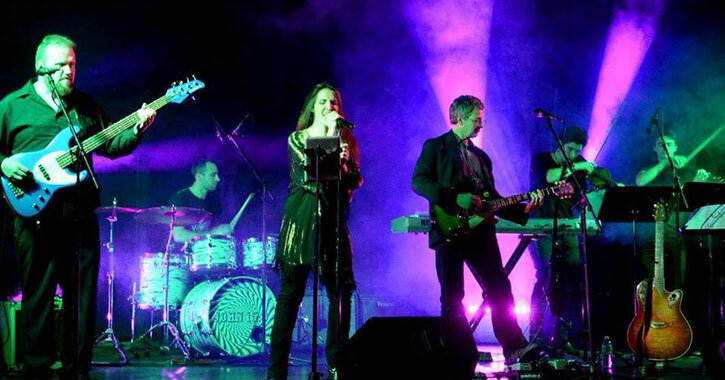 Although the Music Hall regularly attracts touring professionals and some of the top musicians in the Northeast, there are also local talent showcases and Open Mic nights where the public can get involved in the arts and perform in a comfortable environment. The organization also operates the Strand Theater in Hudson Falls, which offers even more awesome acts and shows, from comedy to film, theater, and more.